This past weekend I attended the Toronto Blue Jays’ home opener, eagerly anticipating Dustin McGowan’s first start since 2011. I’ve always been a fan of McGowan’s wipeout slider. In fact, I’ve always been fascinated with the pitch itself (perhaps it’s because I could never throw one in my limited playing career – I think my hands are too small). I’ve fawned over Dave Stieb’s slider and wondered aloud how Dave Stieb’s slider stacks up against Steve Carlton’s. Could McGowan have the next great Blue Jay slider? Those thoughts quickly passed as McGowan was roughed up by the Yankees early on. McGowan was tipping his pitches, so the Yankees knew the slider was coming and thus rendered the pitch ineffective. My thoughts then began to drift as they sometimes do when Blue Jays pitchers get shellacked. Who has the best slider in this history of Major League Baseball? Though I never saw him play, I’m willing to bet it was Bob Gibson. 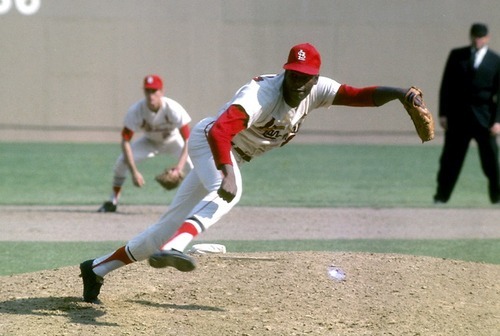 I’ve compiled here a few quotes, stories and anecdotes on the character that is Bob Gibson. I hope you enjoy. “Billy Williams had broken his ankle, so the team was looking for a left-handed hitter. I had been hitting the ball pretty well, so they brought me up from Double-A. I was 19 years old. The game was in Chicago, and Bob Gibson was pitching for the Cardinals. “It was 3-2, bottom of the ninth, and we had runners on second and third with two outs. Our pitcher was due up and Don Kessinger was the next hitter. He wasn’t a very good left-handed hitter — he was a better right-handed hitter — and Gibson had already struck him out a few times. “First pitch, base hit, game over. I’m out there giving high fives. “First pitch, Wham! He nailed me. “Next time up, I’m thinking he figures I’m going to be scared, but I’m not. I’m just looking for a pitch to hit. Well, he gets me about two inches below where he hit me the first time. “[In 1975], they had a Bob Gibson Day, in St. Louis. They gave him a big parade, a motor home, a bust of his head. The whole nine yards. He didn’t start that game — he was pitching out of the bullpen at the time — but in a 6-6 tie, they started warming him up. “The bases were loaded with nobody out. Gibson comes in. First guy pops up, second guy strikes out. I’m the next hitter. The count runs to 3-2 and I hit a grand slam home run to beat him. It was the last pitch he ever threw. “He comes off the mound and is calling me everything you can imagine. He’s following me around the bases, and by the time I get to third, I’m almost walking. I thought we were going to fight. I had charged the mound against him before. Twice, actually. 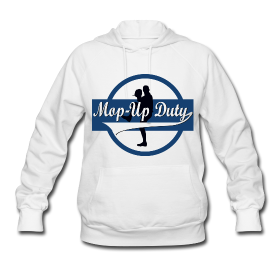 “The surface was Astroturf, and my home run hit the mezzanine and rolled back to the infield. Ted Sizemore was the second baseman, and he got the ball and flipped it over to Gibson. As I was walking into to the dugout, he threw it at me. “About 15 years later, we’re doing an old-timer’s game in Royals Stadium. Bob Feller is pitching. I walk up to hit, and when I get up to the plate, Gibson comes out of the dugout. He goes to the mound and starts warming up. I’m wondering what in the Sam Hill? First pitch, he drills me. “I ended up coaching with the Cardinals. Buddy Bates was the clubhouse guy, and when I go into the coaches room, I see that I’m lockering right next to Gibson. I’m going, ‘Buddy, this ain’t going to work.’ He’s saying, `Yeah, yeah, this is going to be good.’ The whole time I was there, I don’t think Gibson said one word to me. One of the most common trivia questions asked is what Major League pitcher used to play basketball for the Harlem Globe Trotters. The answer — of course — is Bob Gibson who played for them from 1957 through 1958 and was a former Creighton University basketball all-star. 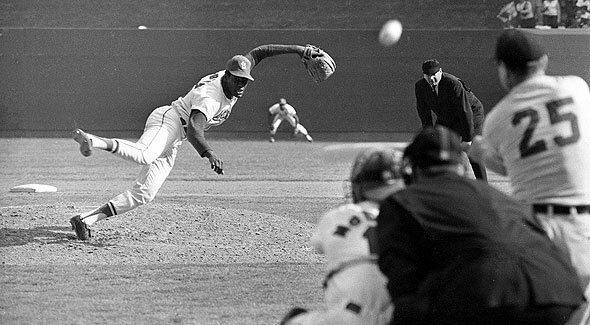 Bob Gibson holds the record for most strikeouts in a playoff game with 17. He owns a postseason record of 9 GS, 7-2, 1.89 ERA, 81 IP, 55 H, 17 BB, 92 SO. The 17 strikeout game was Game 1 of the 1968 World Series vs the Detroit Tigers. Featured image courtesy of Jack Zehrt. As great as Bob Gibson was, the Detroit Tigers won the World Series in 1968, with Mickey Lolich, whose absense in the Baseball Hall of Fame is a scandal, winning three games. Gibson was one of the best hitting pitchers in baseball, but it was Lolich who hit a home run in the Series. Nine World Series starts… 81 innings pitched. He went “only” eight innings in his first WS game… and completed the other eight, including going ten innings against the Yankees in ’64. And he also hit a home run in the ’68 series, in Game Four. Guy sounds like a psychopath.